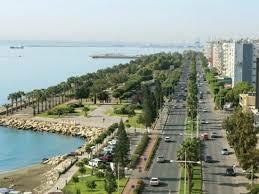 Limassol or Lemesos is a most fascinating city in Cyprus. The modern mingles with the old and there is a castle and fortress to explore as well as modern apartment blocks all around. The beaches are great and the harbor is a nice place for strolling. 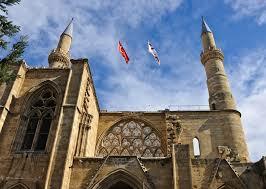 From 1291 Limassol was the center for the Templars and the Knights of St. John. It was here that King Richard the Lionheart married Berengaria of Navarre. Away from the old modern Limassol has many apartment blocks and hotels and large cruise ships dock in its large marina. An interesting place to visit west of town is the Cyprus Wine Museum which offers visitors a look into the history of Cypriot winemaking. Visitors have three tour options one including wine tasting after the winemaking exhibits have been viewed. In the museum you can see medieval drinking vessels and jars and get information on all aspects of winemaking. There is also a short audio-visual presentation. Here you’ll find an extensive collection of pottery and item that date from Neolithic and Chalcolithic times through to Mycenaean pottery. There are terracotta figures on display as well as classical pottery, jewelry and oil lamps. You can see modern-looking glass bottles and vials. 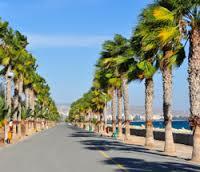 To enjoy the sun and the sea take a stroll along the Limassol Promenade that runs along the beach. Here are many cafes, restaurants, English pubs, boutiques, and souvenir shops. It is quite a popular place with tourists and also locals who enjoy coming here to stroll after dinner. The public gardens are also found on the promenade. Lush and green the Limassol Municipal Gardens have lovely flowers and tall palm trees making it a lovely oasis in the middle of the city. In the spring they host a flower show and in September the Limassol Festival. The gardens are also home to the only zoo in Cyprus where you can see many exotic animals as well as the Cyprus mouflon. Would I leave you without an explanation? Certainly not, well then the Cyprus mouflon or Cyprian Wild Sheep is the largest animal in Cyprus. 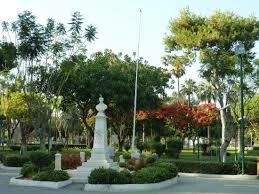 Not far from the Limassol Public Garden you’ll find the Limassol District Archeological Museum. Here you can see an interesting collection of antiquities that were found in the Limassol area from the Neolithic Age to the Roman period. There is a very nice garden with a sundial, which was once owned by Lord Kitchener. In one room you can see Neolithic tools and pottery spanning from 3000 B.C. to A.D. 1300 from Amathus, Kourion and Limassol. In one corner are six amphorae (a container characteristic for its shape and size) dating from 2,300 B.C. In the second room are figurines and jewelry from 1700 B.C., Roman coins and early razor blades. Of interest is also a bronze bull. In the third room there are statues of the Egyptian god Bes and Artemis that were found at Amathus and fragments of other statues representing other deities. Don’t forget to take a walk along Independence Street which is the best shopping area in the city. Here you can purchase items made of silver, potter, leather goods and handicrafts. At the end of the road you’ll come to the new shopping precinct. For lovers of sand, sea and sun just east of the city is Dhassoudi Beach. This is a public beach under the supervision of the Cyprus Tourist Organization. You can fine lots of sports facilities in the complex here as well as tennis courts and a swimming pool. The Limassol Folk Art Museum displays a collection of national costumes, tapestry and embroidery. It is right next to the municipal library. Limassol has two mosques Djami Djedd and Djami Kebir and these stand as a reminder that there once was a Turkish part of town. 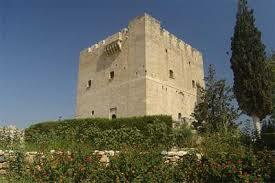 One of the most well-known sites in Limassol Is Limassol Castle. It can be found at the western end of the promenade. The buildings which stand there were completed in the early 14th century. The earlier fortifications can be seen just inside the walls. This is the place where Richard the Lionheart married Berengaria of Navarrea. Unfortunately the chapel where the ceremony took place is no longer standing. When the Turks took over the castle in 1570 they used it as a jail. Under British rule it was the headquarters for British forces. It is now open to visitors. There are steps leading up to the entrance and to the right is the great hall from where you can go up to the castle walls and get some great views of the city below. The castle is now home to the District Museum. The museum is located near the old port of Limassol. It was built in the 14th century on the site of an earlier Byzantine Castle. In the basement are photographs of Byzantine churches in Cyprus and replicas of sculptures from Santa Sophia Cathedral in occupied Nicosia. On the upper floors exhibits are found in small rooms off of the central hallway. On the ground floor you can see coats of arms, wall paintings and tombstones, especially from Nicosia and the church of Pyrga. On the second floor are weaponry displays and a full suit of armor. There are also displays of jewelry, pottery and some stone gargoyles. The stairs to the next floor lead to the battlements from which you can get spectacular views and for more birds eye views you can continue up to a small raised square right at the top of the castle.